Our planet Earth is a living and breathing organism and as such she channels energy from specific locations on her body just like every other living creature. These centers are called Chakras. The chakra centers on Earth are connected by energy circuits called Ley lines. This planetary grid system has been known and mapped for millennia. The ancients were well aware of the properties of these places on the Earths surface. While these locations are known as the major energy vortexes of Earths energetic body, there are thousands of other places where the energy is strong, promoting the ancients to build structures on these sites, which will be discussed in a later article. Visiting these sites, especially to mediate and make ceremony, can result in strong connections with mother Earth, opening your own Chakra centers, and the ability to be a stronger conduit of universal energy. Mt. Shasta is located at the southern end of the Cascade Range, which runs like a dragon from northern California, through Oregon, and through Washington to the Canadian border. There are many powerful mountains in this range, with Mt. Shasta and Mount Rainier – overlooking Seattle – the best known. If Shasta is the tail of this dragon, then Rainier is its mouth, or head. Impulses generated from Mt. Shasta, and directed to Mt. Rainier, resulted in the 1947 “UFO” phenomena gaining world attention. This increase in earth chakra transmission was in reaction to humanity’s introduction of atomic weaponry to conclude World War II. 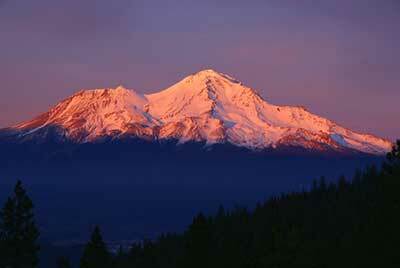 Shasta is the most primal of the earth chakras. It is at the “base” of the world energy system. Here, the raw precursors of biological life are released into global circulation and development. Mt. 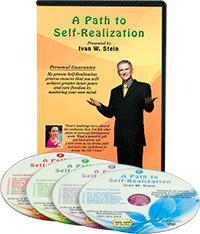 Shasta regulates the universal life force prior to its integration into individual life forms and species. The energy of Shasta, as the first chakra, is like a geyser – a great uprush of life energy, or prana, without shape or structure. When working with the forces of Mt. Shasta, it is vital to transfer all evoked energies to at least one of the other major world chakras. The life current of Shasta does not take form until it is transformed within one of the other great continental chakras. There are times when the transfer is from Chakra One to Chakra Two, or from One to Seven, for example. Factors which determine the direction of these transfers will be introduced and discussed later. On the Island of the Sun, in Lake Titicaca, is found the Titicaca Stone, which is the geometrical centre for the second earth chakra. This is the world center for the creation of new species, and significant evolutionary advances within existing species. 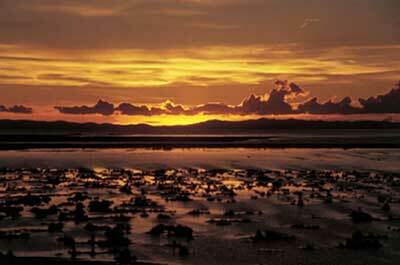 In the human body, Lake Titicaca correlates to the sexual chakra. The difference is that the world second chakra governs all species, taking a special interest in positive mutations and evolutionary advancements. From Titicaca is born what is truly New. This sequence, over the Aeons, of innovative births always points in the direction of the goal of life – everlasting life. How can life force and structure be combined in a way that overcomes entropy? The Earth wisdom of the Andes continually seeks to answer this question with ever-increasing clarity. The undifferentiated life force of Chakra One, Mt. Shasta, is transmitted to Lake Titicaca via the great world ley artery – The Plumed Serpent. This life-giving telluric current encircles the world, and has its evocational home at the El Tule tree in Mexico. Lake Titicaca is one of the two greatest ley crossroads on Earth. The Rainbow Serpent intersects the Plumed Serpent at the Island of the Sun. These two gigantic ley arteries also cross each other on the island of Bali, in Indonesia. If you construct this second world chakra on a map, let the circumference pass through the junction of the Napo and Maranon rivers, near Iquitos, Peru, where the Amazon River begins. Notice that this great circle includes the heart of the Andes range, and includes many other sacred sites, such as Cuzco and Machu Picchu. All sacred sites within the expanded sphere of a world chakra partake of the same defining qualities. Thus, Machu Picchu is also a world second chakra force. These twin sites in the Northern Territory, Australia, comprise the world “solar plexus” chakra. 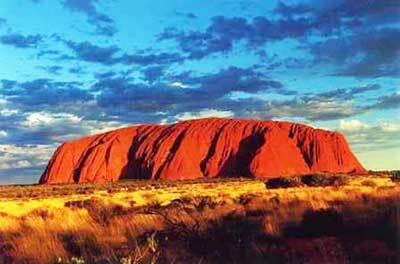 Uluru, formerly known as Ayers Rock, is the more famous of the two. This large red monolith is, along with the Sydney Opera House, an icon of the smallest continent. Katatjuta, also called The Olgas, is equally impressive. Rather than one monolith, this site consists of a large number of massive red stones. The global function of this chakra is to maintain the vitality of the Earth, and all living species. In the future, if there is a world art of immortal health, then the wisdom of this art will be gained from Chakra Three in central Australia. This wisdom is delivered to the rest of the world via the ley artery, the Rainbow Snake. The Rainbow Serpent travels the path of life. It arises from deep beneath the surface of the Earth, and first emerges at Uluru. The Uluru magick is then transmitted to Katatjuta via a special song line which exits Uluru on its western side from the cave of the hare wallaby, Mala Puta. Once in the natural cathedral of Katatjuta, the universal vitality force is shaped into the various designs suited to the many different species of life on Earth. After the “packaging” of solar plexus energies, in the Valley of the Winds, the Rainbow Serpent leaves this area from the large heart-shaped stone, Ngunngarra (scarlet Fuchsia),and travels on to Bali. Chakra Two energies from Lake Titicaca are directly sent to Chakra Three – Uluru and Katatjuta – via the world ley artery, the Rainbow Serpent, which crosses the South Pacific Ocean, sweeps underneath New Zealand, and enters the Australian mainland at Wilson’s Promontory. In the ancient creation legends of “Dreamtime”, there is a story about a great ritual which has yet to be completed at Uluru. This ritual was meant to complete the great plan of the earth spirit. When the ritual is complete, then perfection will spread throughout the world, and death will disappear from all species. This event is symbolized by a great pole, or cosmic umbilical cord, which is destined to unite the Sun with the Earth – heaven with earth. It is predicted that this cord begins to function in 2020 AD, at the time of the rare Saturn-Pluto conjunction. Glastonbury, Somerset and Shaftesbury, Dorset define the center of the world’s heart chakra. In order for the force of greater life to be directed to maximum effect, the Grail of Immortality must be permeated by the Wand of the True Will. 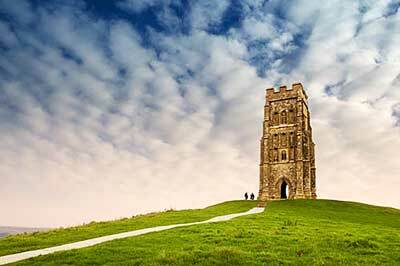 Glastonbury is the home of the Holy Grail; and Shaftesbury is the high place of the Sacred Spear of Purpose. When the earth energies of Glastonbury unite with those of Shaftesbury, then the Rainbow Serpent ley artery is able to deliver the immortalizing frequencies of the Holy Grail to all beings worldwide. The great circle of the Rainbow Serpent travels from Uluru to Bali to Mt. Kailash to Sergiev Posad (Zagorsk), then crosses Denmark before entering England near Great Yarmouth. As this broad ley river crosses England it sweeps through many famous sacred sites, all of which contribute to the world heart chakra. Avebury Stone Circle and the Tor at Glastonbury are perhaps the two most famous of these heart “acupuncture” points. If you imagine this ley artery as having width, then Shaftesbury is near its southern back, while Glastonbury is on the northern bank. It was said during Medieval times that if the Abbot of Glastonbury married the Abbess of Shaftesbury, then their children would be wealthier than the King of England. This is an alchemical riddle. If you unite the archetypes of the two areas, then love is united with will in a way that is revolutionary. For those who study the Cabala, this alchemical formula unites Binah (Grail) with Chokmah (Wand). The Grail, directed by the Will of the Earth spirit, has the power to dissolve all boundaries between nations. If the heart of the Earth expands to its full circle, then – throughout the world – pain, suffering, and physical death among all species will fade from experience and memory. The most famous legend of Glastonbury tells the story of Joseph of Arimathea and the Holy Grail. After the Resurrection of Jesus, Joseph shifted the archetype of Everlasting Life – the Grail – from Jerusalem to Glastonbury. This ritual act established the foundation for the eventual shift of the mobile world sixth chakra from the activation circle for the Aeon of Pisces, 2000 years ago, to the present Aquarian Aeon area in western Europe. Currently, the mobile sixth chakra is conjunct the world heart chakra. To move world solar plexus energies to Chakra Four, the principal direction is from Uluru-Katatjuta to Bali to Mt. Kailash (Chakra Seven), to Sergiev Posad, Russia to Shaftesbury-Glastonbury. As this Rainbow Serpent force travels around the world it absorbs and releases information at the various sites. Shaftesbury, in particular, acts to decode information brought by the Rainbow Snake from Mt. Kailash, in Tibet. It is also possible to shift the force from Chakra Three to Four by utilizing the opposite direction on the Rainbow Snake – from Uluru to Lake Titicaca, over the Azores, into Cornwall, and up to Glastonbury-Shaftesbury. Also, a simultaneous dual impulse in both directions would complete a great world circle involving the Following Earth Chakras: Two, Three, Four, Six, and Seven. The world “Throat” chakra, where the voice of Earth is emerging, is unique among the world sacred centers. Alone among the chakras, it is not on either the Rainbow Serpent (feminine) or Plumed Serpent (masculine) ley flows. By its spinning function this chakra does help to drive the force along the Rainbow Serpent path – but at a great distance. This sphere of fifth chakra energies, in the Middle East, is also a major component of another vital Earth structure – the Four Vortices, or Spinner Wheels, which regulate qualities related to the four elements of fire, air, water, and earth. Sacred sites related to these four areas will be described after this section on the seven world chakras. For all of the earth chakras, the art of listening to the will of the Earth is something which needs to be mastered. Humans will never harmonise with the purpose of life until they learn to hear and respect the voice of the Earth spirit. Nowhere is this more crucial than in the Middle East, where the world throat chakra resides. The Earth is speaking, and no one seems to be listening. Imagine a Middle East where Jerusalem and Mecca are world heritage cosmopoli, open to all cultures. Imagine a Middle East that is at the world vanguard in advancing the respect for all beings – human and non-human – to live, and live abundantly. From Egypt to Iran, imagine a Middle East that is culturally united, and communicating to the rest of the world the art of everlasting life. The voice of the Earth is singing the gospel of life in this region. Who is listening? Three sites are given here as best defining the center of this chakra. Mt. Sinai, between the other two, is a useful point from which to construct the expanded circle. The Immortal Moses, who carried Cabalistic wisdom from out of Egypt, crossed the abyss and beheld Living Eternity at Sinai. 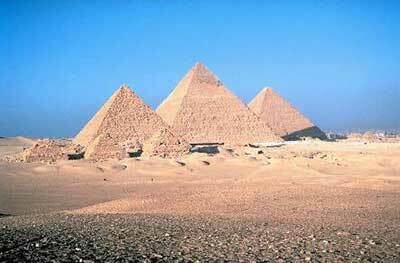 The Great Pyramid is one of the few artificial earth chakras. Unite your own True will with the Highest Purpose of the Earth and, with energized enthusiasm, project this united force as a living word from out of the Queen’s Chamber of the Great Pyramid – or from the summit. The Mount of Olives, on the eastern edge of Jerusalem – overlooking the mystic Golden Gate – is a focus for Jewish, Christian, and Islamic futurism. If Immortality is the key, archetypal Word of this Aquarian Aeon, then this Word needs to be clearly heard, by all cultures, from the Mount of Olives. From here, let the Word of the Aeon open the Golden Gate, so that all beings may enter into full life within a planetary New Jerusalem – an eternal home to all species, cultures, and faiths. This earth chakra, like the others, has a geometrical center and an ideal, expanded circumference. The difference is that this "third eye" moves 1/12th of the way around the world, to the west, at the dawn of each new Aeon. The great Aeons are determined by a slow revolution of the Earth's axis. The names given to these Aeons are taken from the 12 signs of the zodiac. Currently, we are said to be leaving the Aeon of Pisces, and entering the Aeon of Aquarius. Sometime after 4000 AD, this shift occurs again, when the Earth enters the Capricornian Aeon. When the time arrives, the Earth spirit sends out a signal which invites all interested forces to gather in a certain geographical area for the purpose of inaugurating a new age. As these forces coalesce, the world sixth chakra establishes itself, begins to operate, and expands. This chakra remains in place for 150 to 200 years - long enough for the new Aeon archetypes to be instituted - and then it dissolves. Over two millennia ensue, and then the call goes out again to gather 1/12th to the west. The purpose of this activity is to distill the gathered wisdom of life on Earth from over the centuries, and then to use these fruits of wisdom to open new directions of Earth evolution. In each great Aeon, different themes are emphasized. Compassion, for example, was a key Word of the previous Piscean Aeon; physical immortality is the word of the new, emerging Aquarian Age. At the present time (1904 to 2084) the sixth chakra is geographically conjunct with the world heart chakra in western Europe. In terms of time, this Aquarian frequency is at its most potent in April and May of 2008 AD. Worldwide cultural forces which accelerate at this time reach their full maturity in 2065 AD. In many regions of the world, there are legends of the Immortals. Often, when these stories imagine a collective body of immortals, an invisible city is named. Examples of this are Pulaki (Bali), Shambhalla (Mongolia), Avalon (England), and The Church of the First Born (biblical). These legends interpret a revolutionary truth – immortality has existed for a long time on Earth. Often, the immortals follow very individualistic, solitary pathways, hidden from the outer world. Then, when the Earth spirit summons all forces for the birth of a new Aeon, many of these social misfits make new contributions to the new area and its new themes. This coalition is temporary, and, after the Aeon is activated, all parties resume their individual pathways for another 2000+ years. 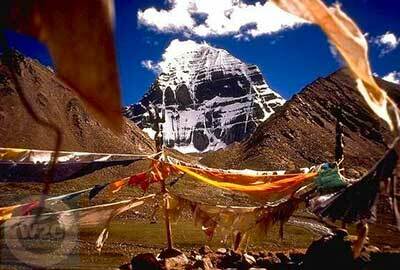 Kailash is the most sacred mountain in the Himalayas, and is the center of the world crown chakra. Located in Tibet, it is the focus for the annual Scorpio full moon event, in April or May. For the Earth, and for all immortals, this moon marks the new year, in terms of global evolution. For those who have never worked with the lunar calendar, this particular full moon, associated with Mt. Kailash, is a good place to start. Chakra Seven broadcasts the Earth purpose, or True Will. If we see the world as an architect, at work in building a global immortal structure, then the blue prints for this vibrant edifice are being released, year by year, from the crown at Kailash. For this reason, it is important to give one's full attention to this annual full moon, in particular, to the 90 minute period leading up to the exact culmination time of the Scorpio full moon. It is at this time that an individual may find their own True Will illuminated by the Earth spirit. The design and details of one’s own work becomes clarified through this activity. Work progresses through time. In addition to the annual lunar cycle, Kailash also releases information concerning larger time cycles. For example, the principal constructive activity of the mobile sixth chakra is controlled from Kailash, through four great 19 year time cycles based on special Scorpio full moons, from 1989 to 2065. These 19 year periods are sometimes called Great Wesak Cycles. A second, more frequent, 12 year cycle is also utilized by immortals in the building of the future. 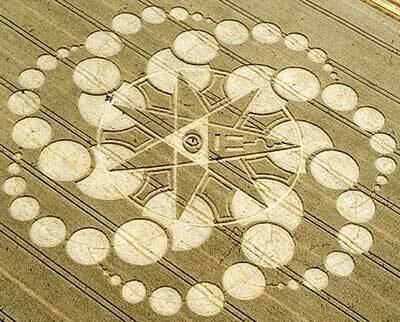 This 12 pattern is called the Melchizedek Cycle, and is initiated when Jupiter is in the sign of Aries. Recent Melchizedek starting points were in 1939, 1951, 1963, 1975, 1987, and 1999. The next one will be in 2011. There is a legend about the Lost Chord of Creation, somewhat like the story of the Holy Grail. If three lost notes could be found, and sounded together, then the world will unveil its eternal nature, and all things mortal will vanish. It is possible to reconstruct this lost chord by working with the earth chakras. Listen for the sound of praise emanating from Chakra Seven, Mt. Kailash. Hear the note of love sounding from Chakra Four, the world's heart center. Then hear the sound of joyous thanksgiving singing from Chakra Three, Uluru and Kata Tjuta. Have the creativity and wisdom to combine these three notes into one force, and then regenerate the world.